I'm looking for anyone who can share their experience with hooking this machine up to a TV over HDMI: are you able to transmit audio? 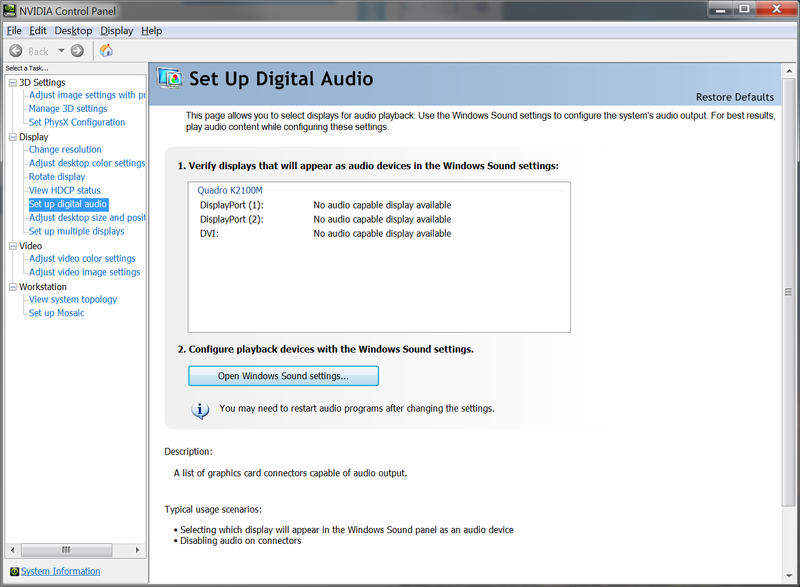 The laptop has one DisplayPort, HDMI, VGA and the internal display, it doesn't have a second DisplayPort nor DVI output. 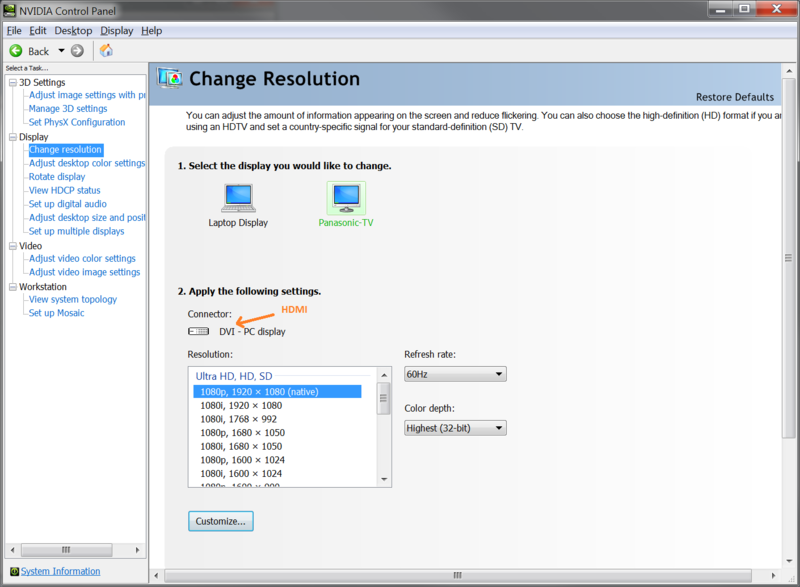 The TV on HDMI seems to be treated as DVI, which doesn't support audio, so I guess it never seems to try sending it. I'd like to get some corroborating evidence for a case to update the BIOS (where I think the problem lies, at least) so that I can use my HDMI port as an HDMI port. The most important data will be from anyone else using one of these machines that was made with the QHD (3840x2160) display, not the FHD (1920x1080) one. The QHD display uses the Nvidia chip for everything and the Intel IGP is disabled; most Dells run HDMI audio through the Intel chip which I why I think this one fell through the cracks. I have exactly the same issue. Did you find a solution apart from using the DP adapter? Oh, did they fix posting? I wonder. 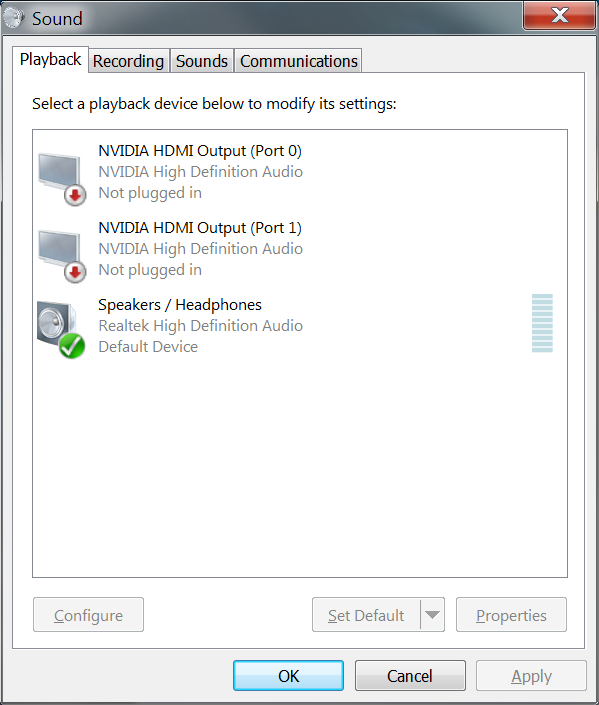 Anyway, I was able to send audio through straight HDMI a while ago in Linux. Specifically one of the earlier Fedoras, I think 23 or 24. I've moved to Chakra Linux now and haven't tested it since but have no reason to think it won't work. This is with the Nvidia binary blob driver, not nouveau which was unusable on this laptop at the time.